A pair of engineers at the University of New South Wales (UNSW) just set a new world record for solar power by converting a whopping 34.5 percent of direct sunlight to electricity. 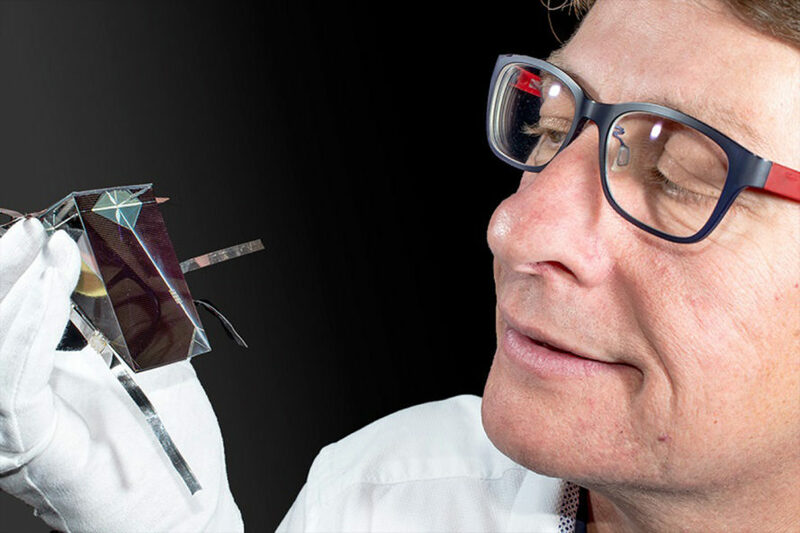 Rather than trying to make improvements to traditional flat solar panels, Mark Keevers and Martin Green created a 4.3-square-inch four-junction mini-module embedded in a prism. The prism divides sunlight into four rays, amplifying available sunlight and enabling a conversion rate that blows the previous record out of the water. With its higher rate of efficiency comes a higher price tag, so the record-breaking solar cells won’t be popping up on rooftops anytime soon. But that’s no reason to think this development is any less exciting. “This encouraging result shows that there are still advances to come in photovoltaics research to make solar cells even more efficient,” said Keevers. 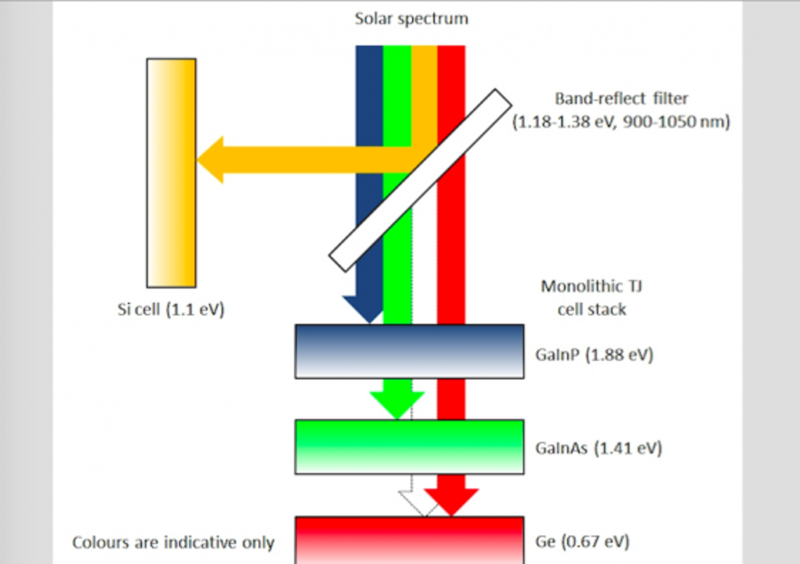 “Extracting more energy from every beam of sunlight is critical to reducing the cost of electricity generated by solar cells as it lowers the investment needed, and delivers payback faster.” The same research team was able to convert over 40 percent of sunlight to electricity in a previous experiment using mirrors to concentrate the sun’s rays. 12/08/2014 40.4% 1 day ago 34.5% a new world record? Damn this English language! Australian researchers have created a new solar cell that converts 34.5 percent of direct sunlight to electricity, a new world record.